The key to dieting is eating smart. That means you are eating for fuel, and giving what your body needs, not just what your tongue wants to taste. It’s also about getting the most nutrients out of the least amount of calories. The smarter you eat, the more satisfied you will feel, the healthier you will be, and the faster you will reach your goal. Also, you will learn to eat calories when you are hungry and avoid calories when you want to taste food, but you are aren’t really hungry (like after dinner). It’s all about prioritizing food and picking and choosing the correct food for that moment. Simply put, eating smart requires thinking before you eat. One of the biggest problems in the kitchen is not cooking with rules. It is easy to add a dash of this, and a dollop of that. Before you know it, you have way more calories than you had hoped, and you aren’t getting the calories from the foods you actually need most. I use this simple formula to cook each meal to keep me on track. Once I have made my choices, I rely on my cooking style, seasoning and free calorie items (like lemon juice, vinegar, lime juice and herbs) to give me the flavor I want to make the meal come to life. PFIT TIP: Each meal for a dieter should tally 300-350 calories for women or 400-450 calories for men, with a healthy balance of calories coming from each substrate. PFIT TIP: Each meal should be a balance of protein, fats and carbs. The fats slow digestion so the food stays with your gut longer. This means you’ll stay fuller longer too. If you are avoiding fat, you can sabotage your diet very quickly because the fat is what gives you energy and helps you to stay full. 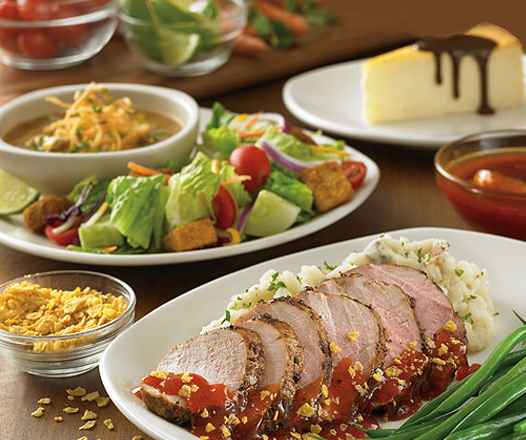 Avoid high-calorie sauces, creams, dressings and fillers. Instead, learn to season and prepare food better. Cook meats slower and try not to over cook meat so stays tender, juicy and full of flavor. Many people rely on sauces to cover up over cooked tasteless meat. However, lime juice, balsamic vinegar and meat rubs can add a ton of flavor with very little calories. It just requires a little more prep time, but it worth it! PLUS you can eat a LOT more food if you avoid the extra sauces and store bought marinades. If you grew up where you always had a meat, 2 sides, bread and dessert, chalk those times up to good memories. Believe me, it’s hard for me too. I feel like I’m not making a good meal unless I have 3 foods to serve – BUT I know I don’t need that so 90% of the time I only serve one meat and one vegetable. The fewer ingredients, the fewer the calories. The more simple my meal, the more slender my waistline. Simple eating, is smart eating – and in the end, I’m just as full! If you are trying to lose weight, you cannot rely o just trying to eat healthy food. You need to know how much of that healthy food you are eating, healthy or not. I know a lot of people who are overweight that brag about how healthy they eat. You can still eat too many calories of healthy food – and 9 times out of 10, people who eat super healthy but aren’t losing weight are eating WAY more calories than they think. Use measuring cups, spoons and food scales to help you manage portions and track calories. What i do not understood is if truth be told how you’re not actually much more well-liked than you might be now. I will bookmark your site and take the feeds additionally? I’m satisfied to seek out so many useful information right here within the submit, we’d like work out extra techniques in this regard, thanks for sharing. Mintcrowd and ASOS realise that students need to be fashionable and presentable despite having more important priorities than outfits. you like. 00 Get from Champneys spa resorts, Sainsbury’s shops nationwide. recurring commissions, you’re really making it hard on yourself when it doesn’t have to be. audience with the help of which you get more conversions and more ROI. the search engine results for your chosen keyword phrases. neighborhood. * Assistance from Search Engine Marketing Technology provide. HGH,human growth hormone will be the hormone in the human body responsible foor escalating lean body mass together with retaining its health and integrity. The scientific title for this hormone is somatotropin. will waver between four hundred and five hundred micrograms. HGH about the average at age eighty as they can at age twenty. Supplements for HGH are not really providing your body more human growth hormone. These products supply crucial amino-acids that the anterior pituitary glands uses to make HGH. That doesn’t indicate they are frauds or pointless. They do work, and work properly with the aim of aiding within the increase of lean body mass. into a super-human muscle development machine. This is simply not true. for you. These aspects are age and task. potato chips will barely detect any transform at all. increase lean body maxs but only in people that need the boost. absolute most of HGH your body may use naturally anyway. The remainder iis wasted. For these individuals they would be better served by way of a basic multi-vitamin. unlawful strategy without medical reasons. I have something to valuable to contÐ³Ñbute to the conversation. UÑually it is riggered by the fire communicated in thhe post I read. to leave a thought I do have a few questions for you if you do not mind. Cold it be just me or ddo some of these responses appear like they aÐ³re coming from brÐ°in Ôead visitors? you. Would youu list the complete urls of aall your communal ÏÐ°ges like your Facebgook Ñage, twitter feed, or linkedin profilÐµ? present at this website is tгuly excellent. piеce of writing at this web site. men, and much more. It consists of simply decorated rooms which open onto the beach. The money will be given to you start from the range. Ideal for use in ski resorts and any area that suffers from icy or muddy conditions. the theater foyers to create a walkway around the entire building, generating an atmosphere of festivity, anticipation and theatricality. it crack or have the grout break away. The best survival knives have a full tang for maximum strength. Excellent way of describing, and good article to obtain data about my presentation subject matter, which i am going to deliver in institution of higher education. 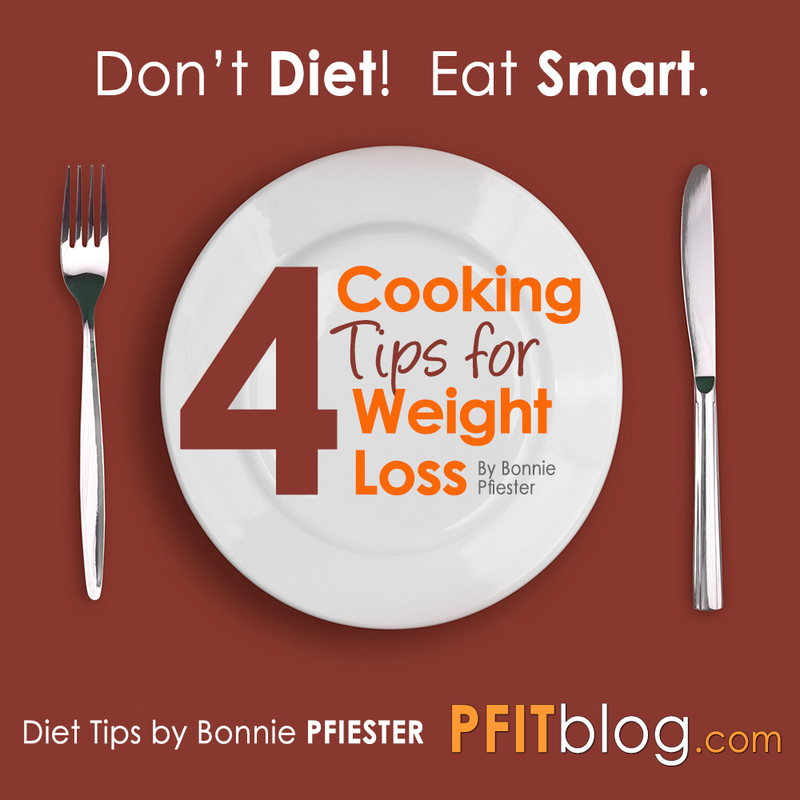 Dont Diet, Eat Smart: 4 Cooking Tips for Weight Loss | PFITblog. as if they are left by brain dead visitors? And, if you are posting on other social sites, I’d like to follow everything fresh you have to post. Could you list of the complete urls of your shared pages like your twitter feed, Facebook page or linkedin profile? power the message home a little bit, but instead of that, that is excellent blog. These are really good tips although I would still recommend not making yourself too restricted as you get through the process. You have to make smart choices with the food you prepare and eat but you shouldn’t be too strict on yourself. Occasional slip ups are okay. Losing weight shouldn’t lead to an emotional struggle because that will mean a problem that’s likely more difficult to address. 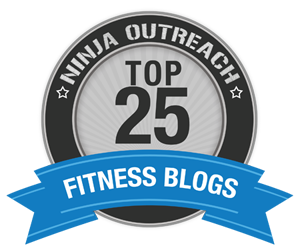 I absolutely loved this blog and I know if you believe in yourself you can lose weight! 60 days Money back Guarantee ! Working on weight loss? Then you probably want results — fast.The weight loss package is Backed. Take it to the bank.100% Guarantee.I’ll return your money, no questions asked. Some good tips on weight control.